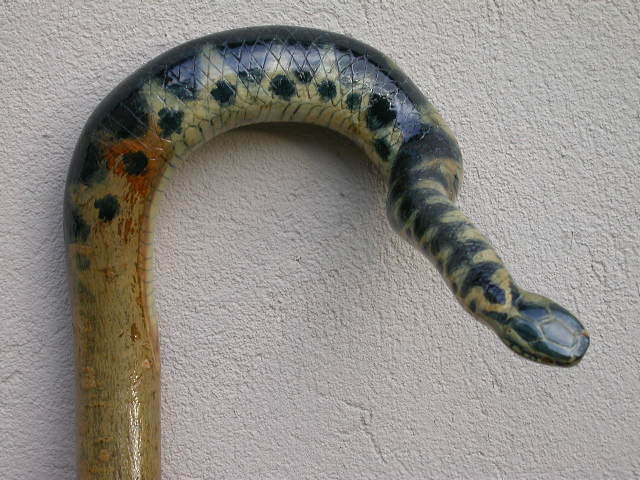 Below is a selection of my walking sticks. 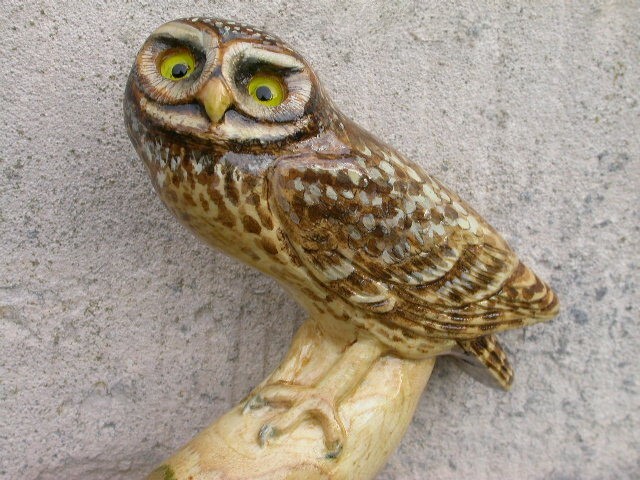 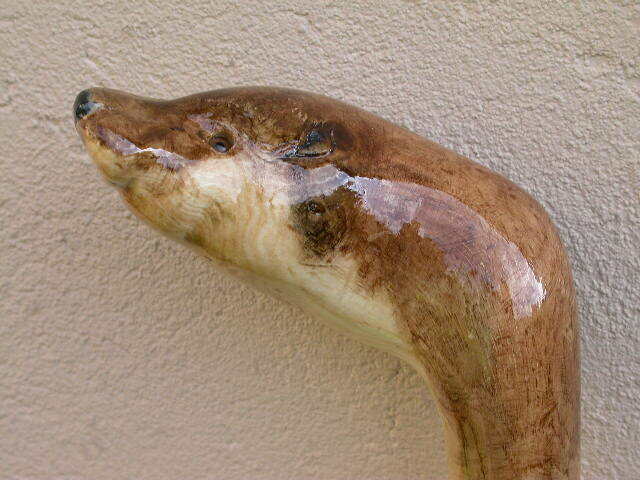 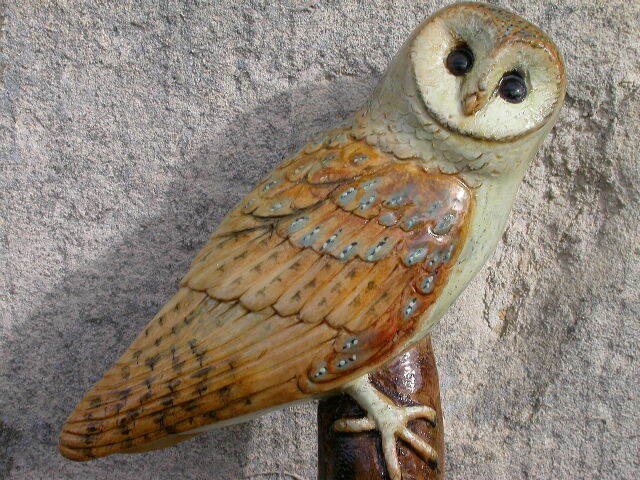 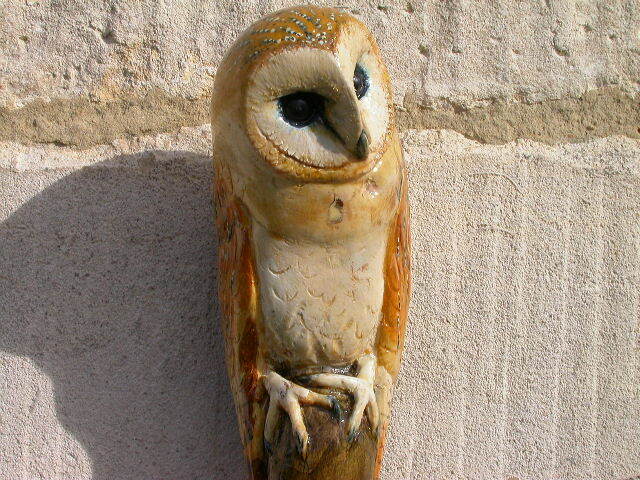 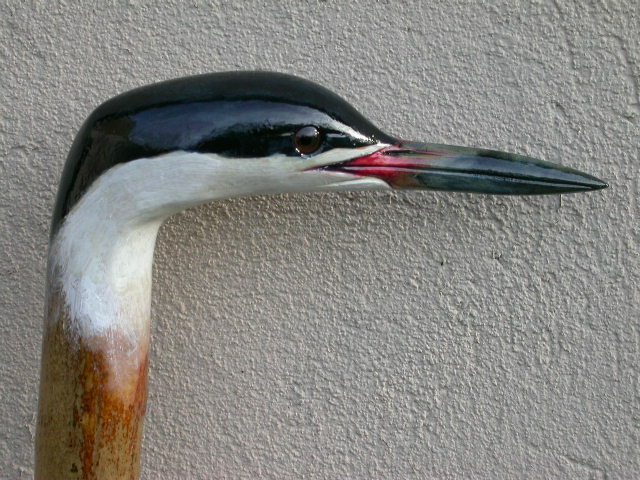 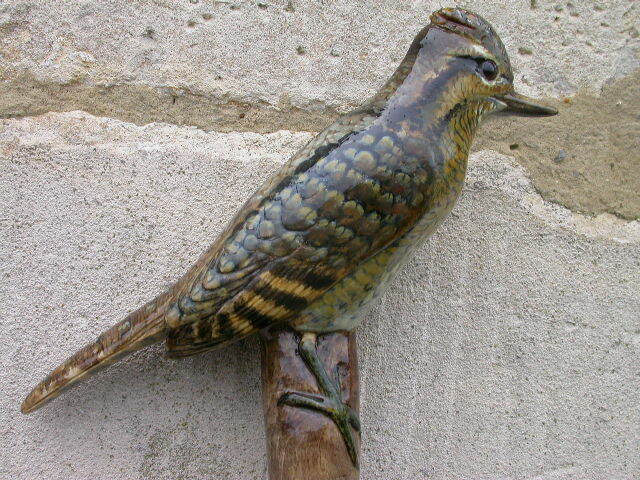 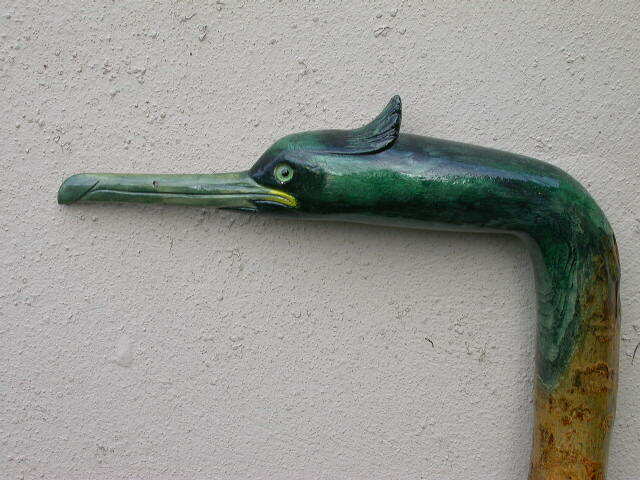 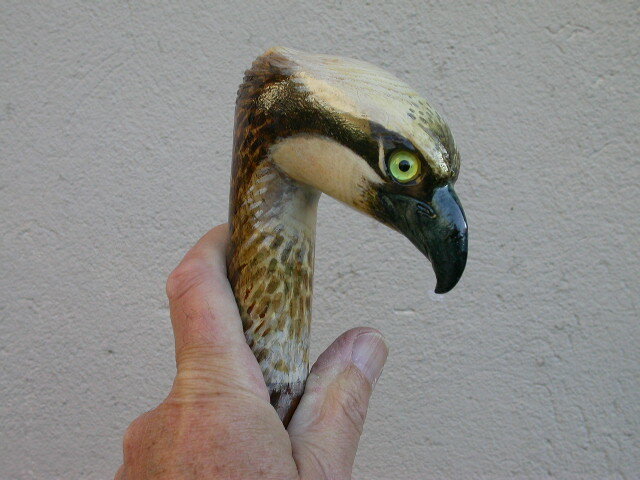 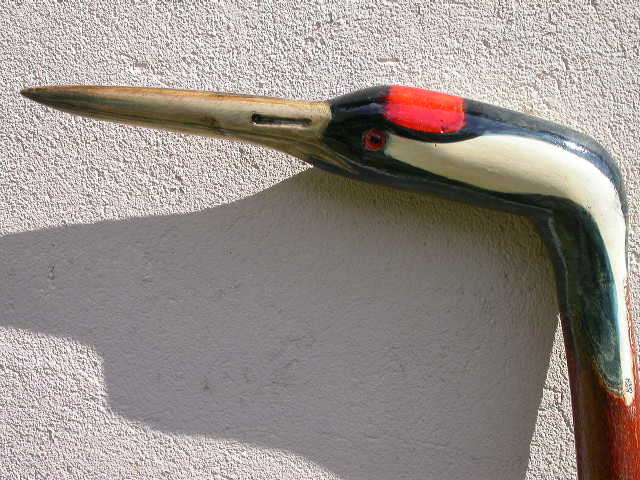 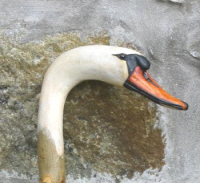 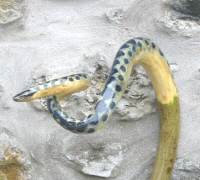 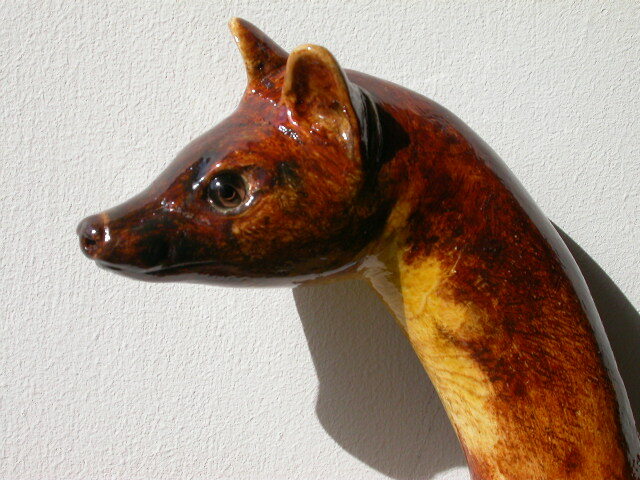 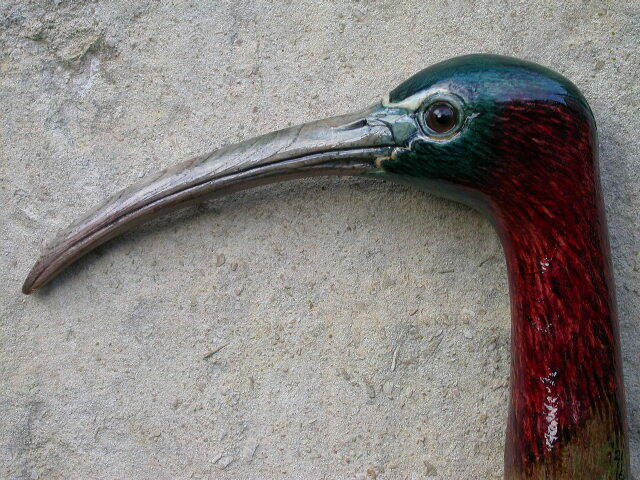 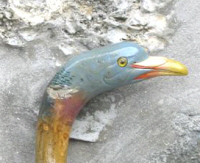 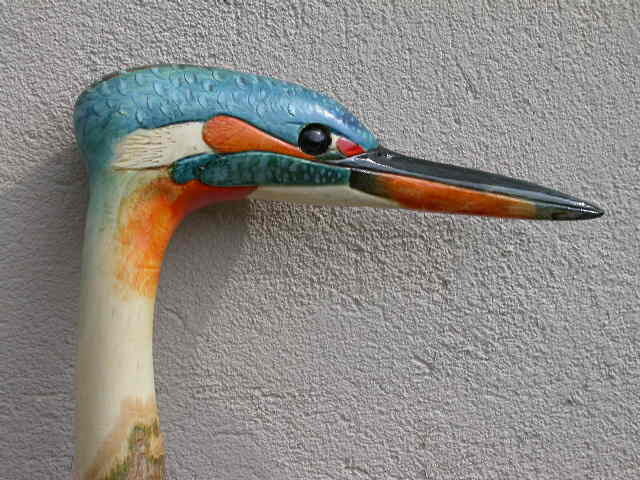 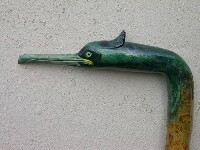 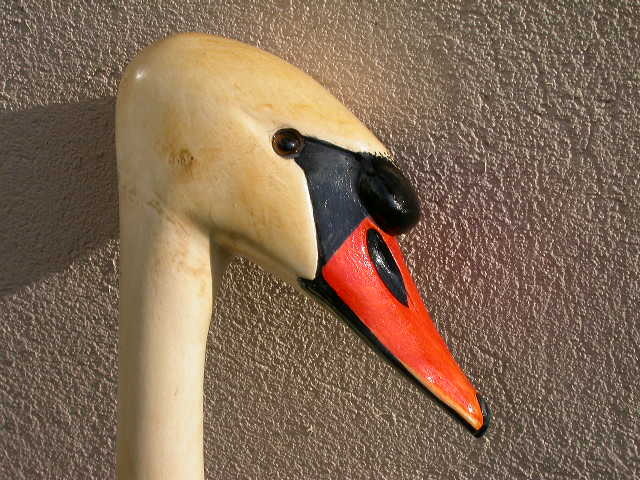 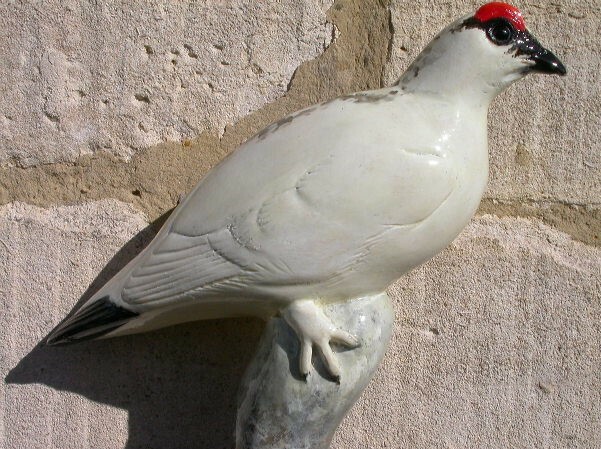 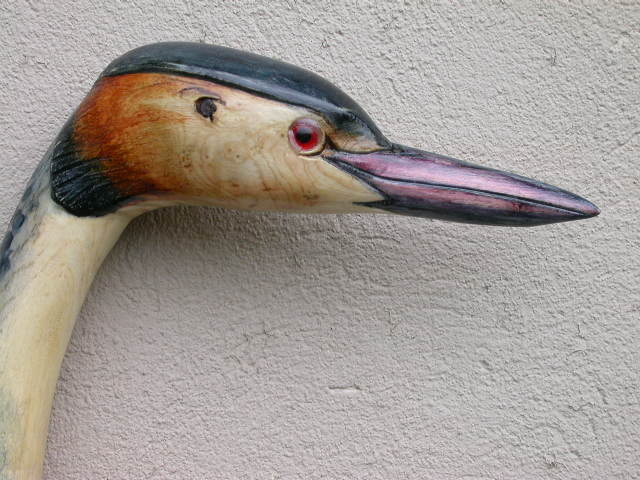 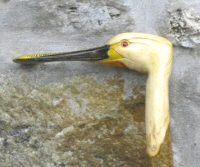 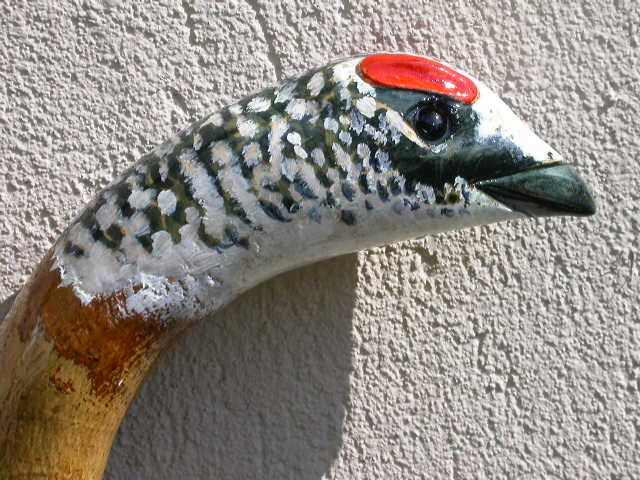 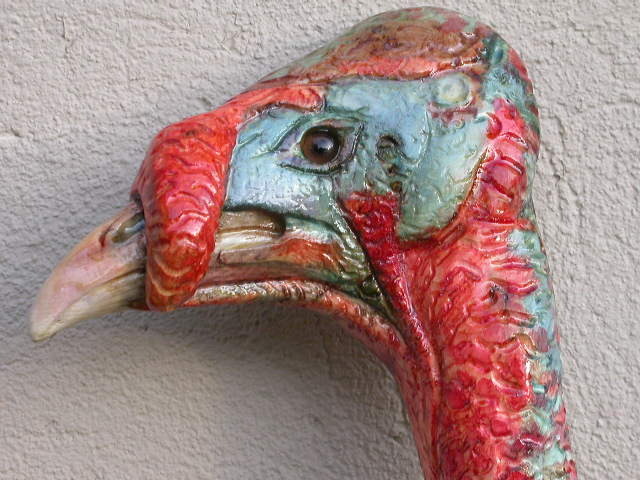 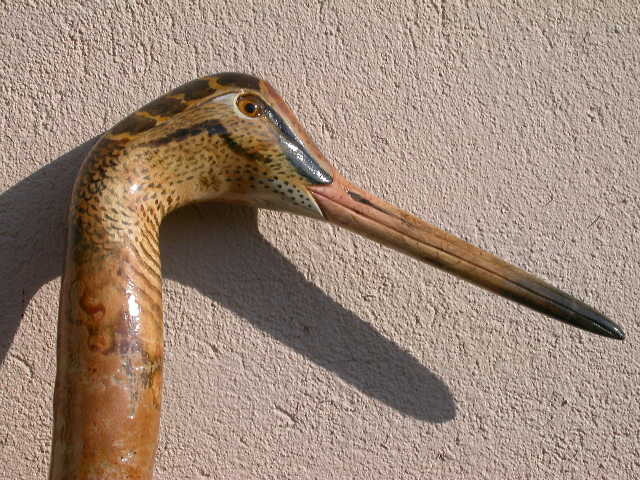 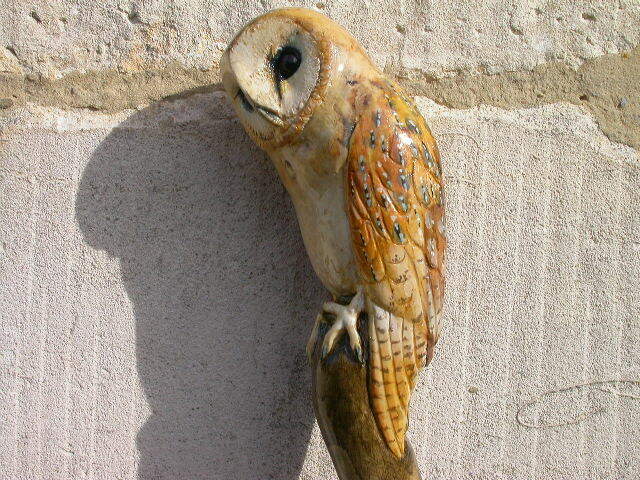 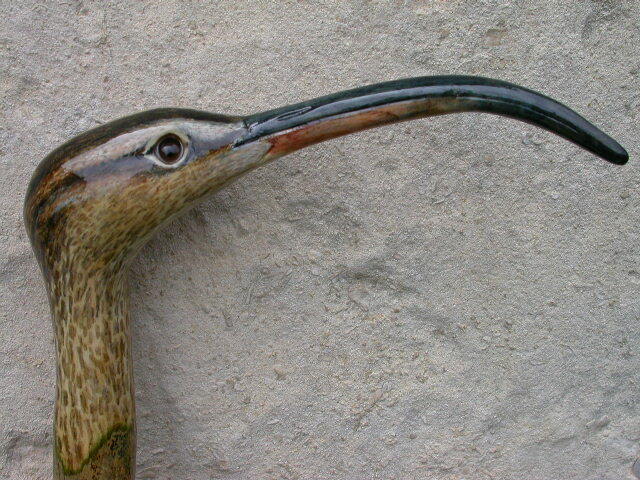 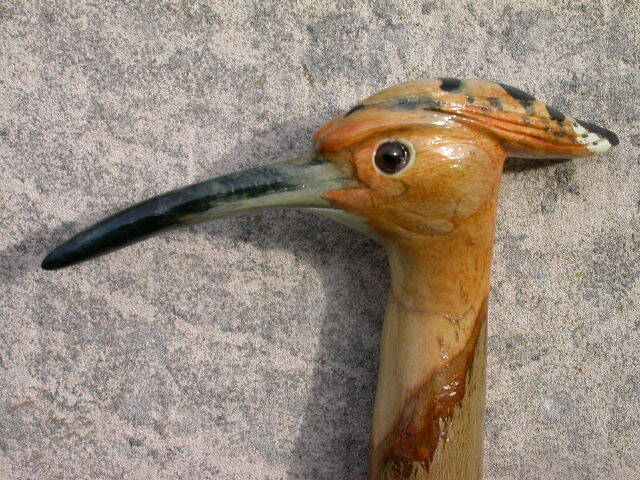 It is the shape of the stick that determines what animal or bird will be carved. 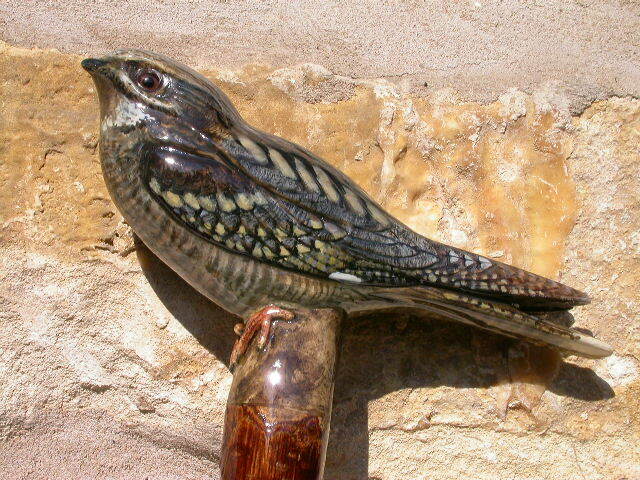 Prices exclude postage and packing. 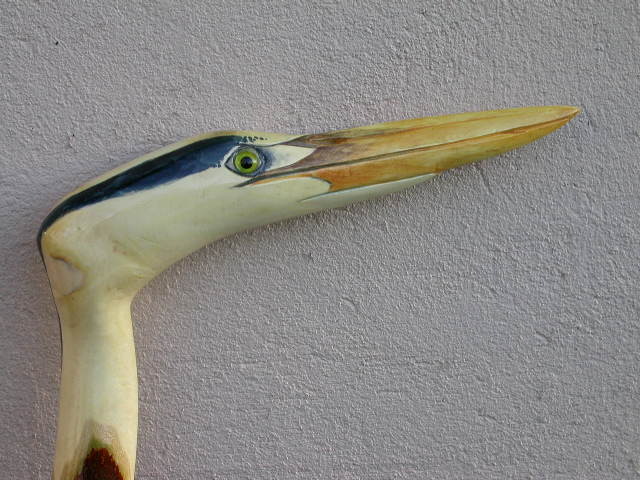 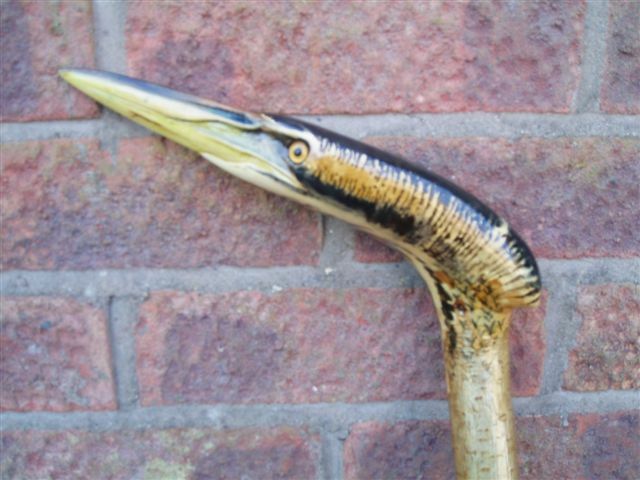 (ash 122 cm) Based on a rarity which spent some weeks in Pagham Bay. 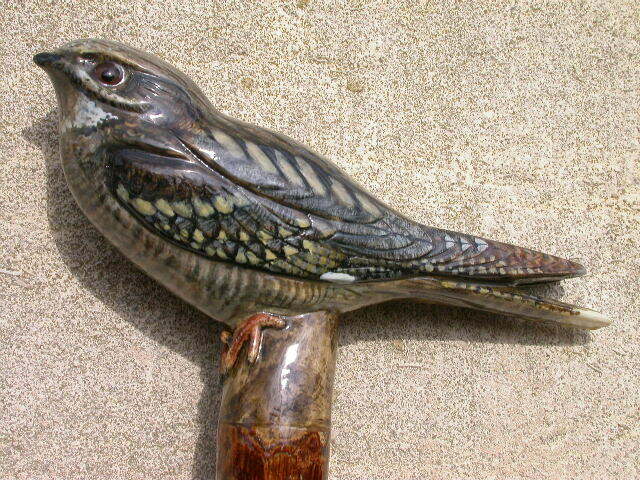 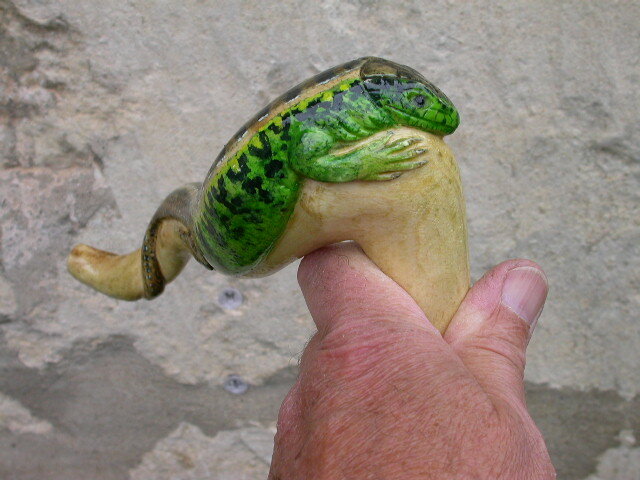 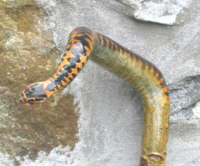 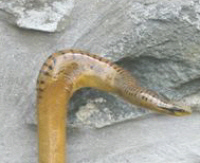 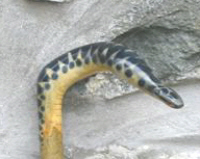 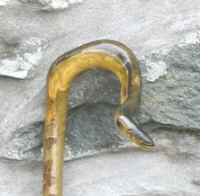 Handle 17 cm. 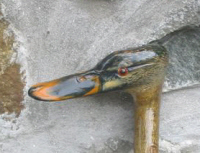 Brass ferrule. 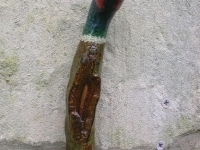 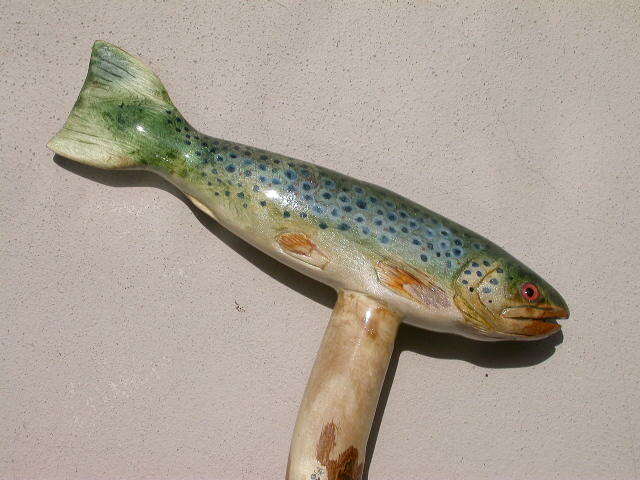 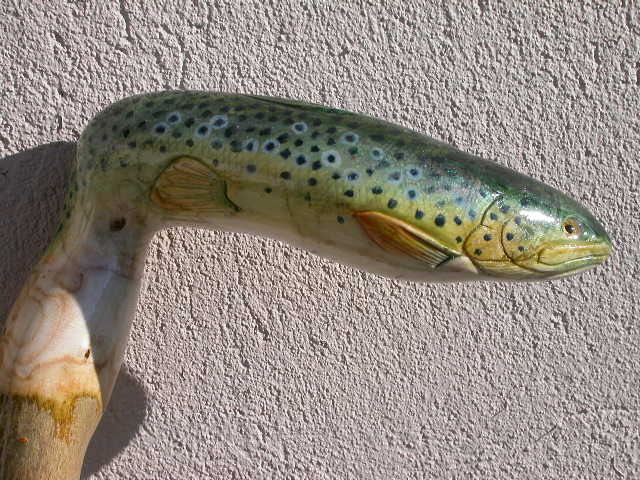 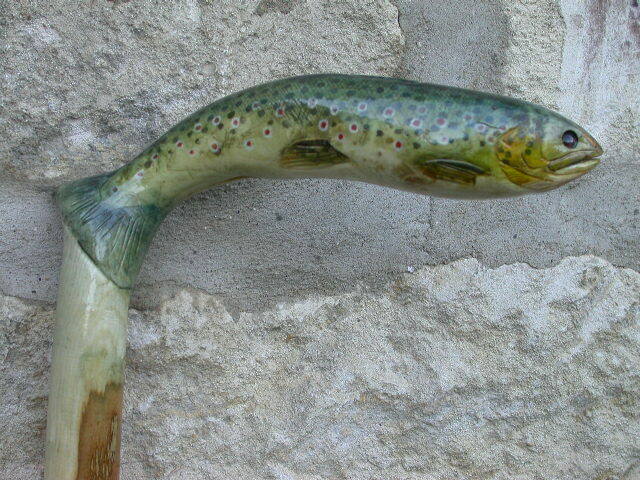 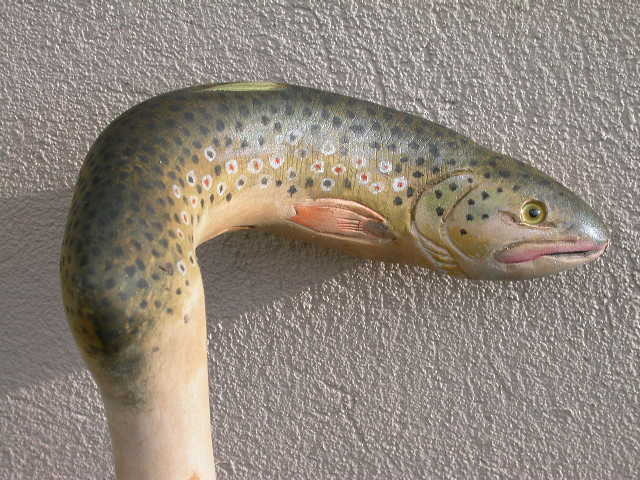 (hazel 128 cm) handle made in hazel, attached to a separate hazel stem. 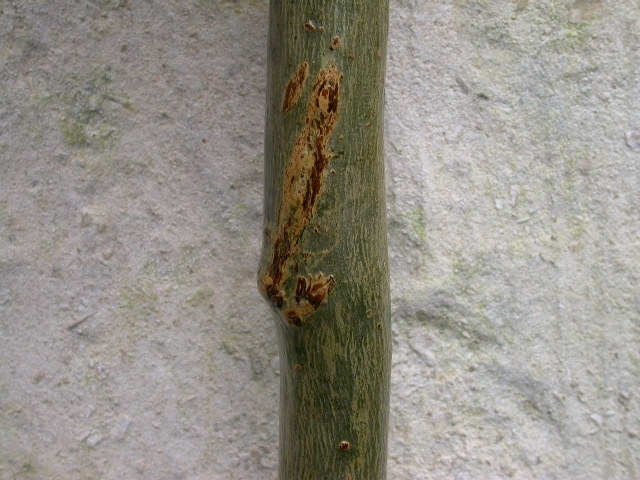 (hazel 129 cm) grasp in hazel, attached to a chestnut shaft, with silver collar over join. 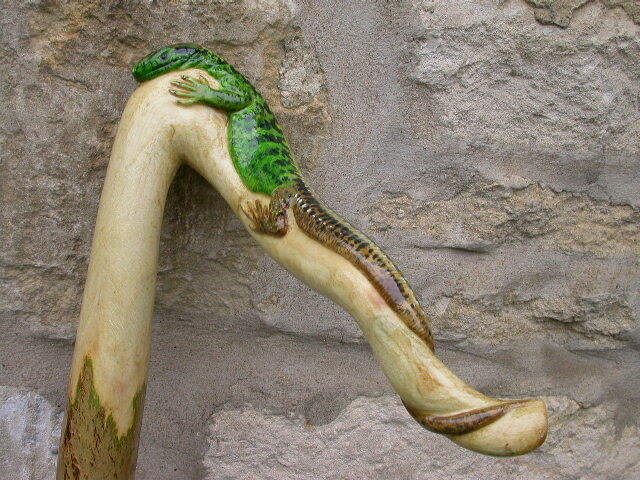 These sticks are not for sale, but will give you an idea of what is possible. 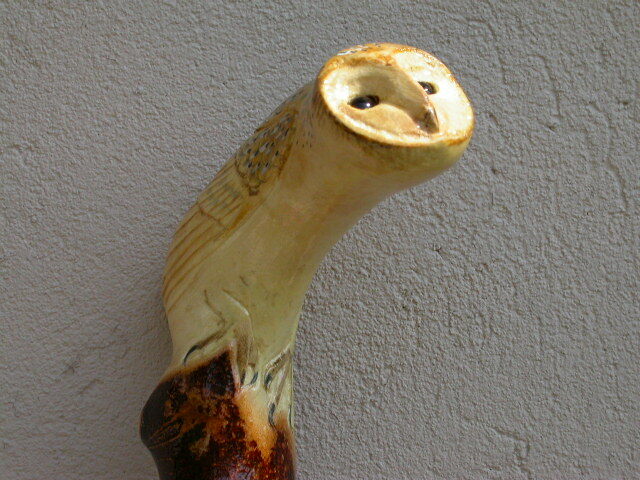 Below are some of the sticks that I have sold. 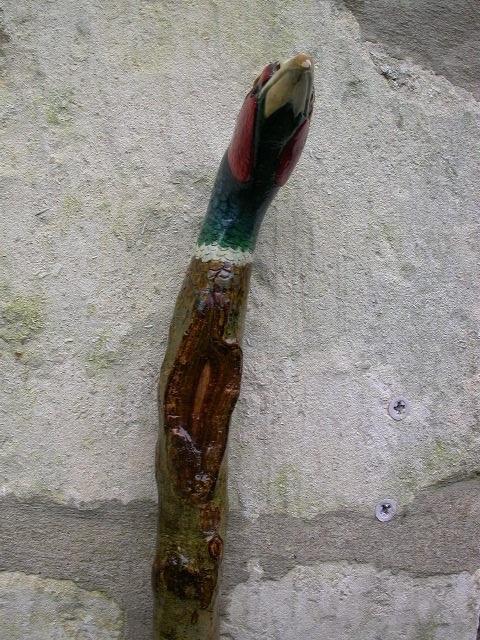 This Ramblerstick was given as a gift to Her Majesty the Queen by the Kennel Club of Great Britain. 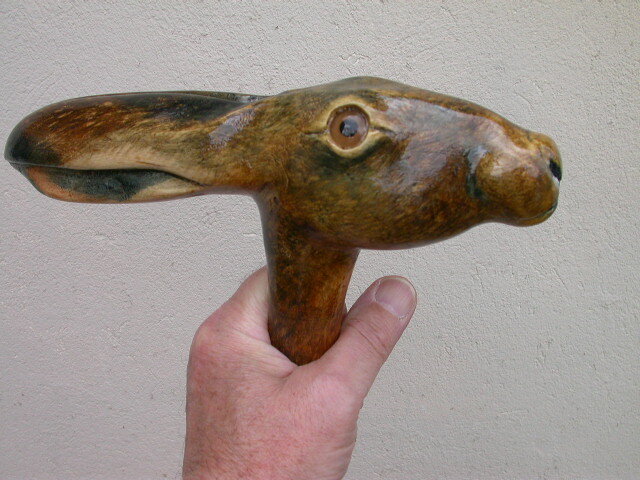 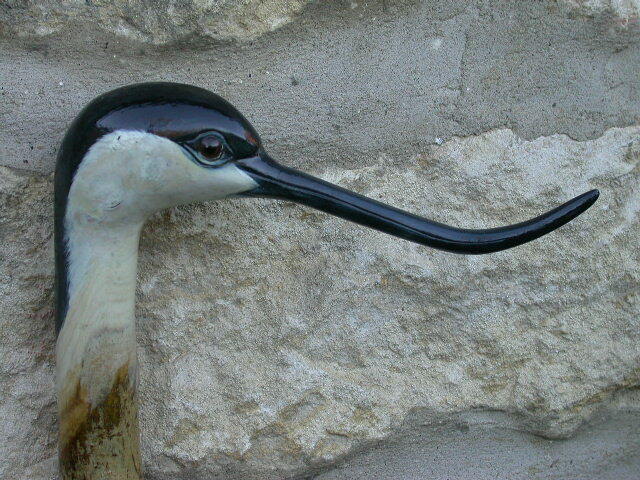 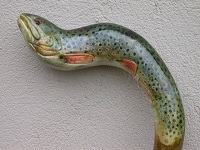 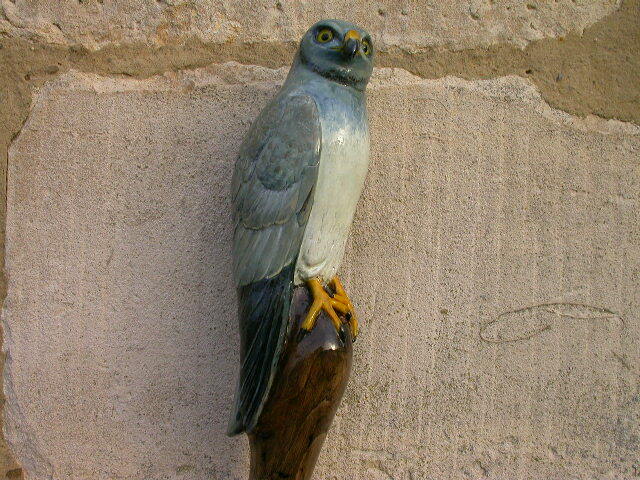 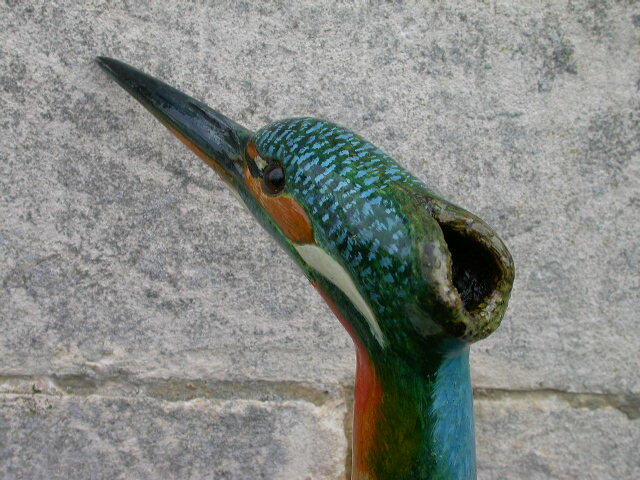 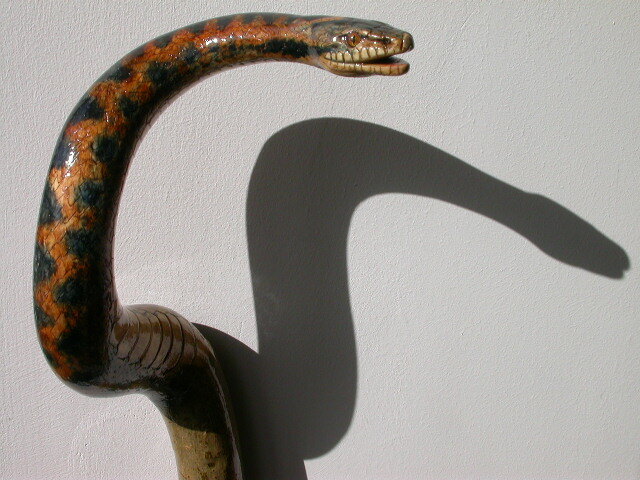 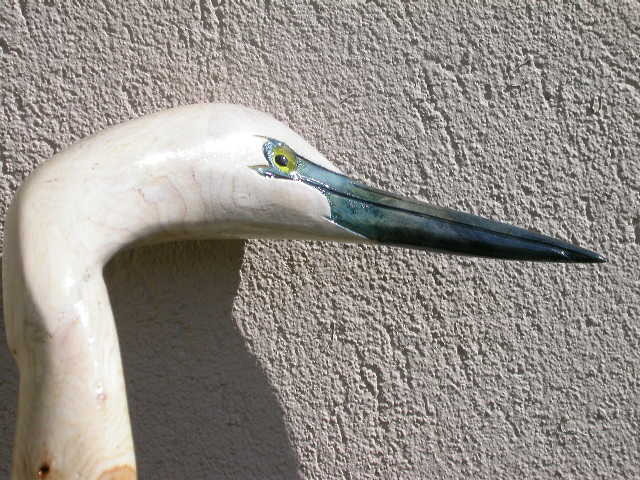 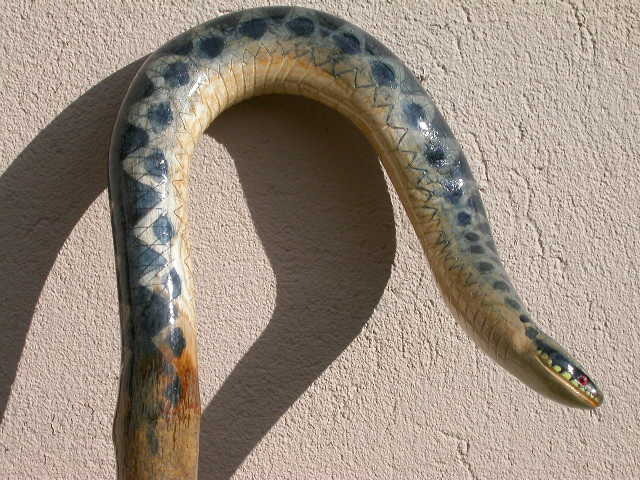 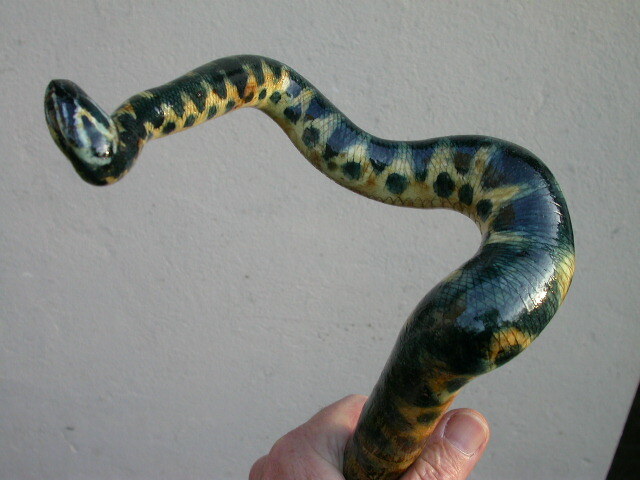 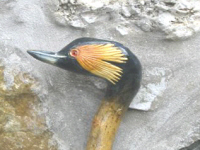 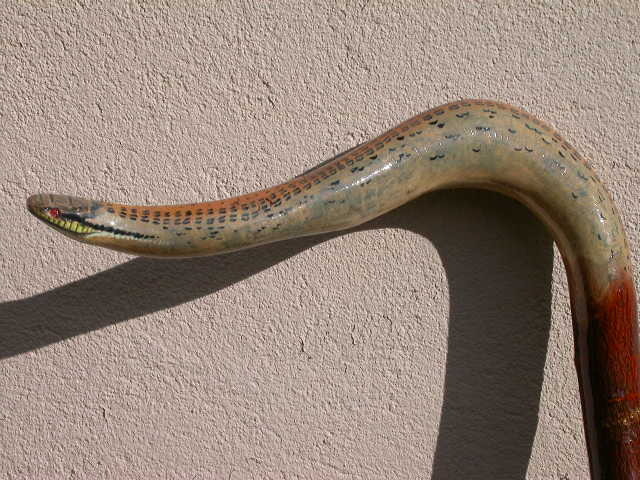 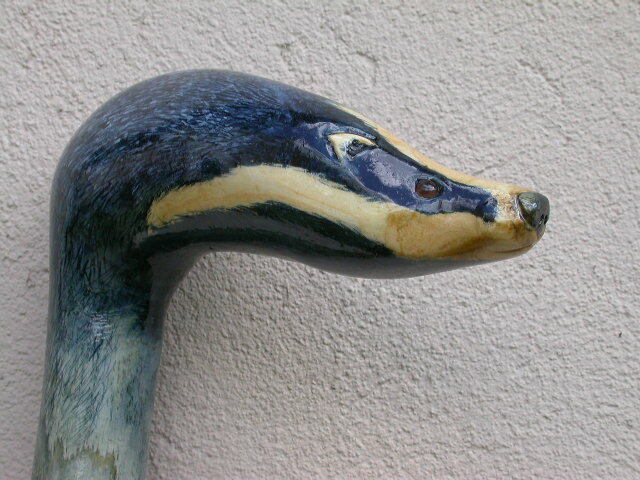 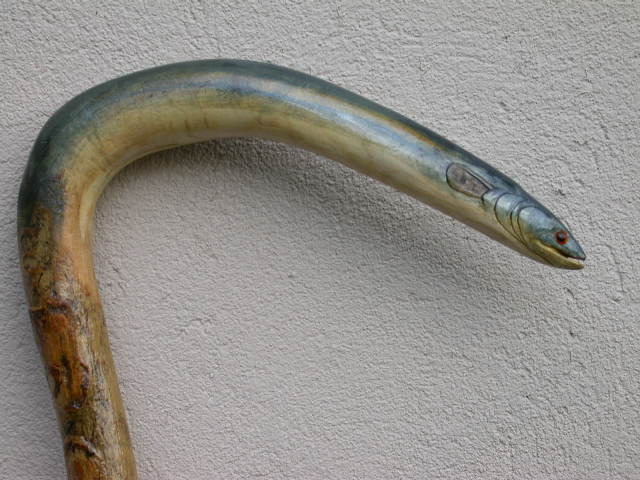 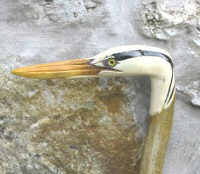 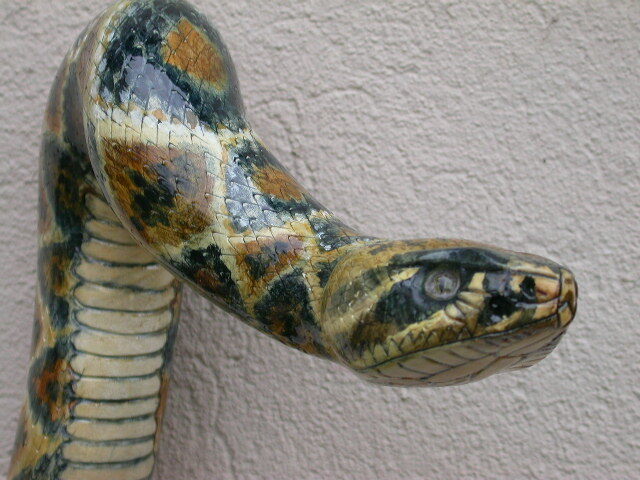 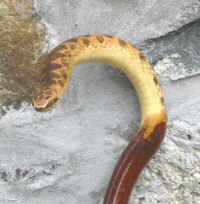 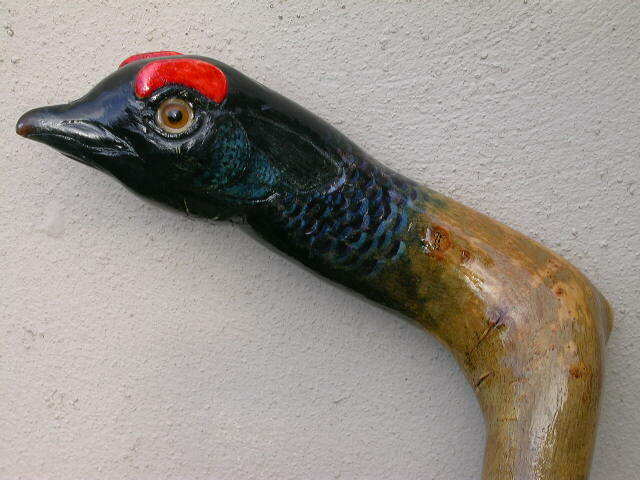 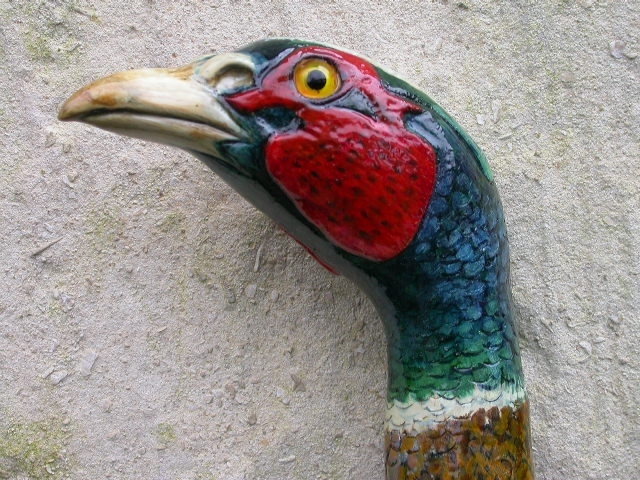 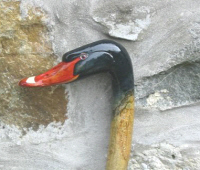 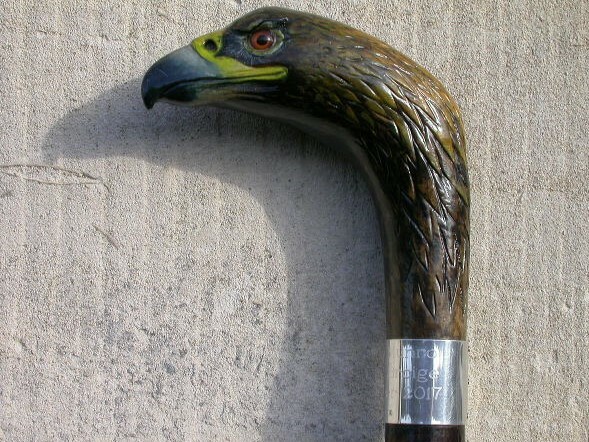 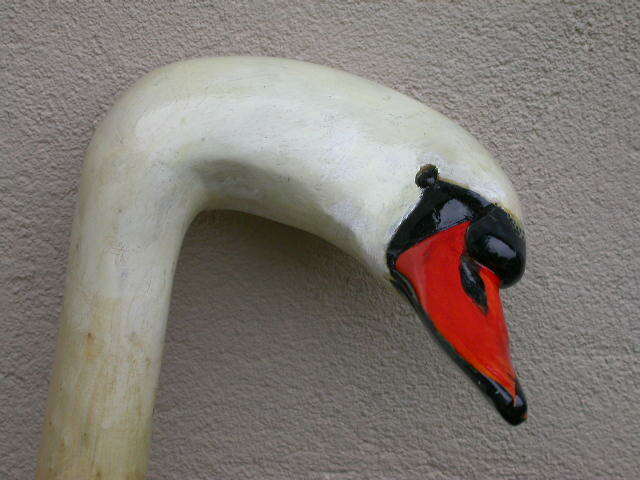 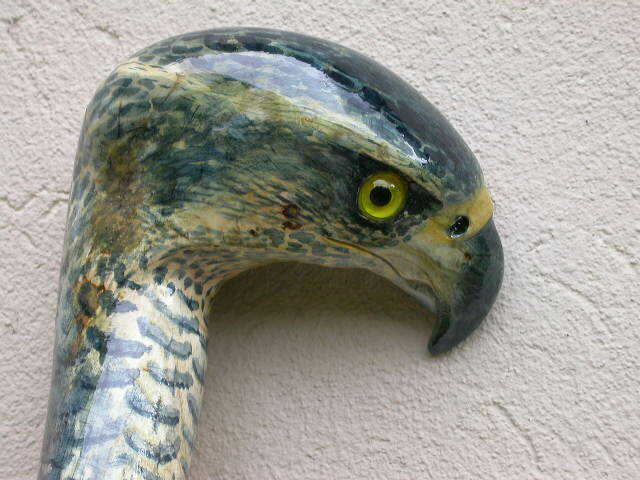 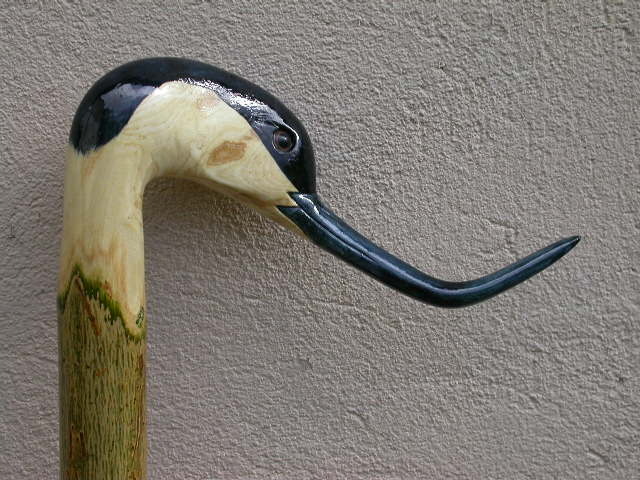 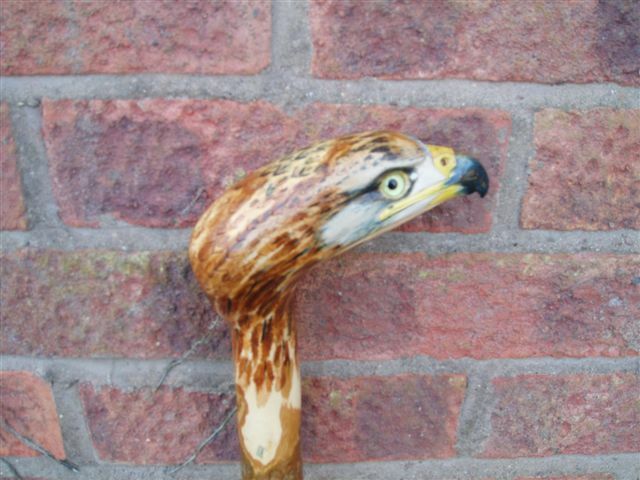 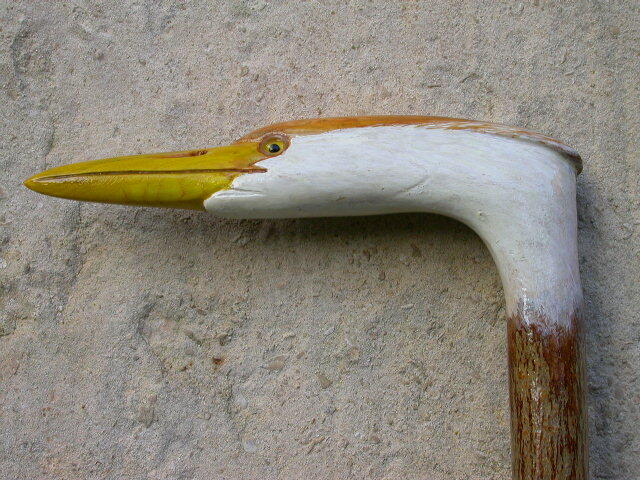 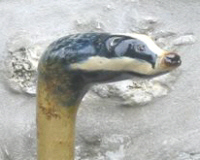 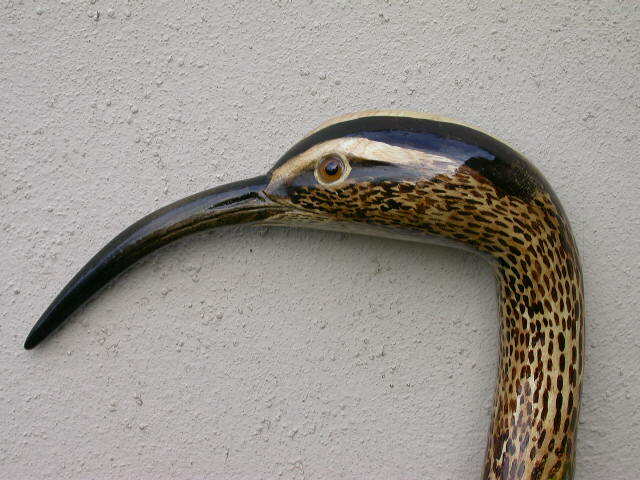 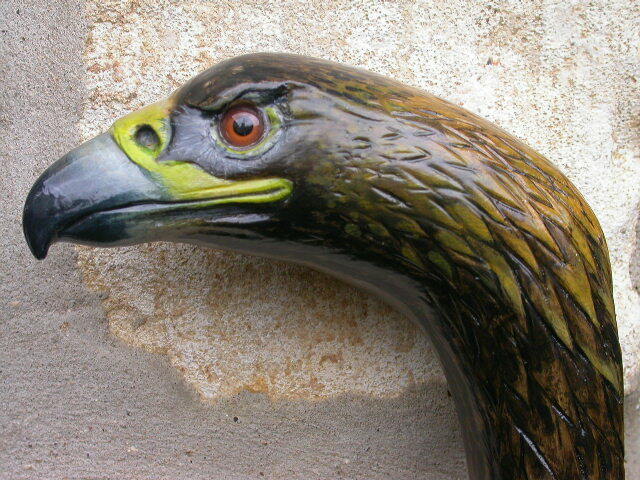 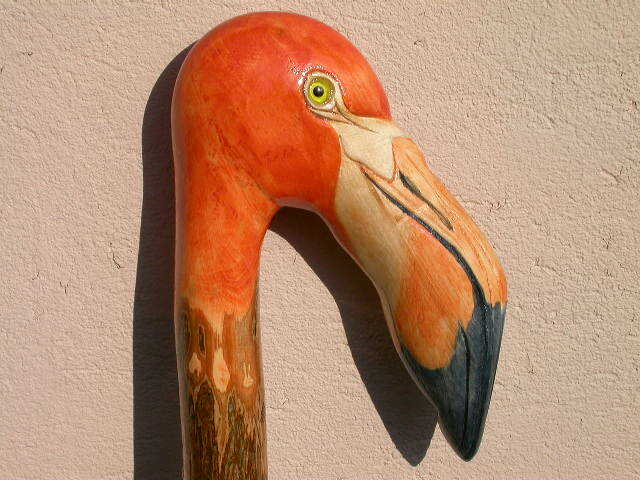 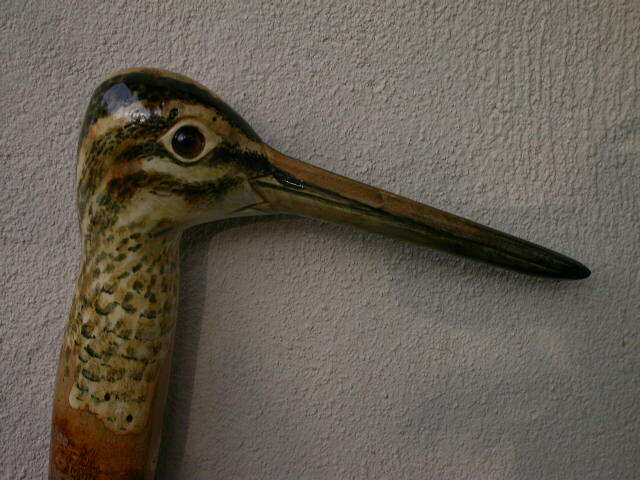 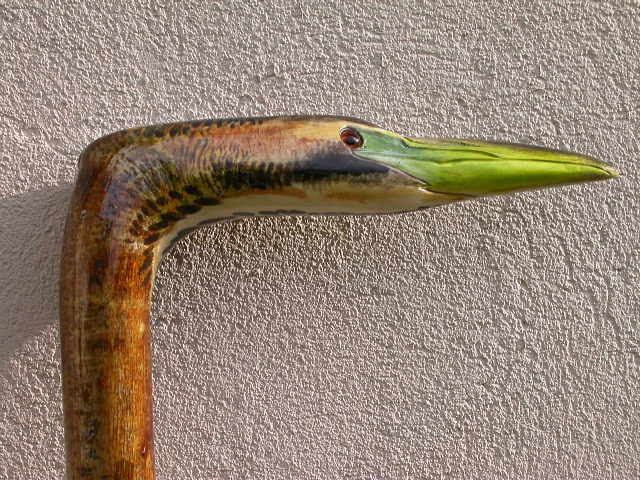 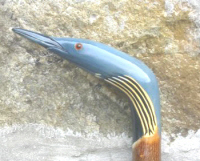 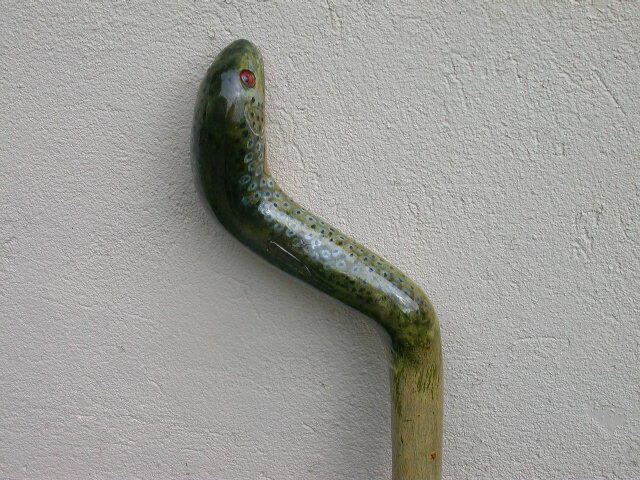 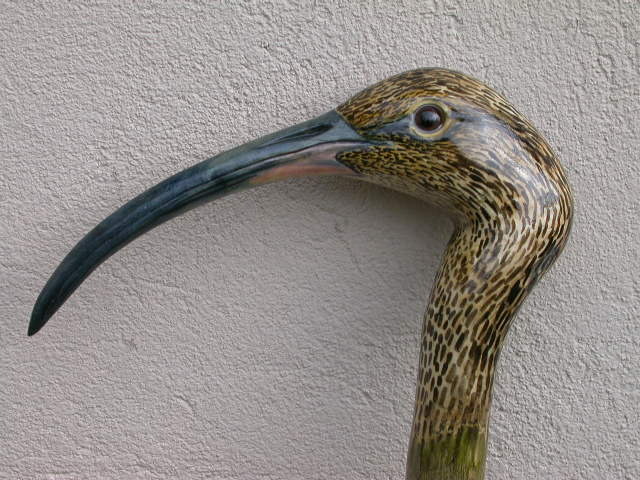 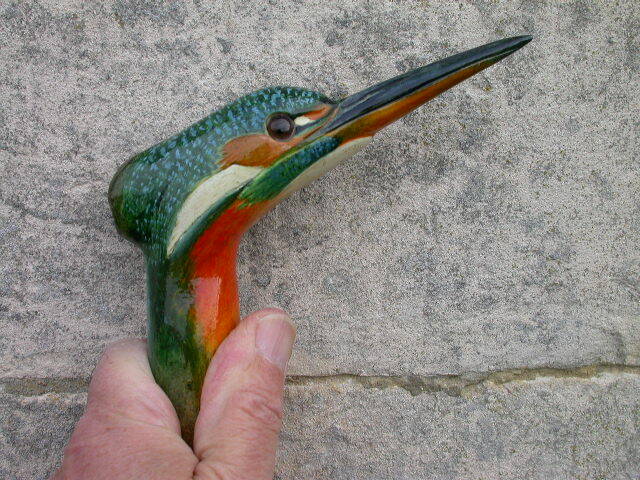 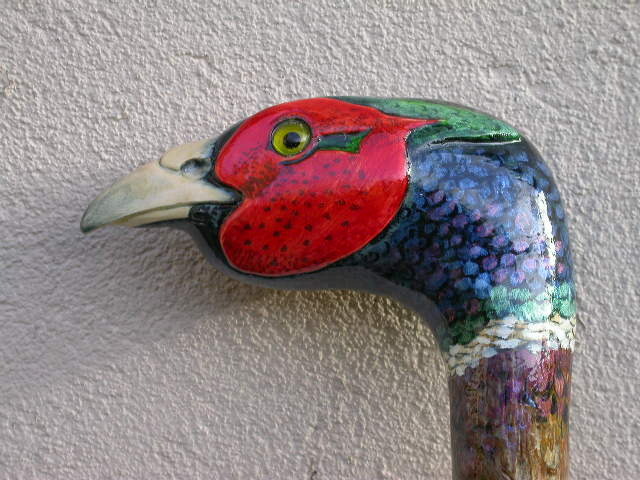 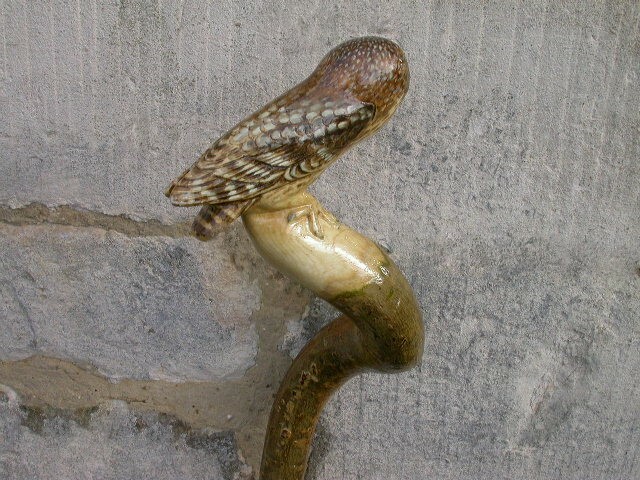 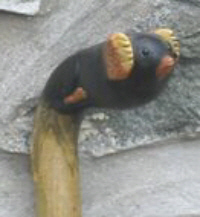 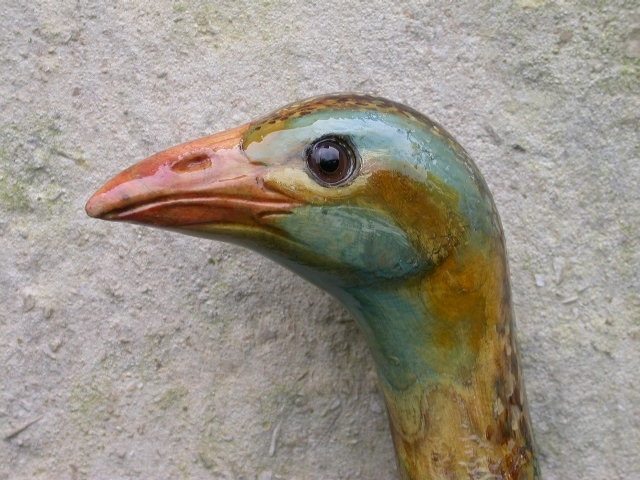 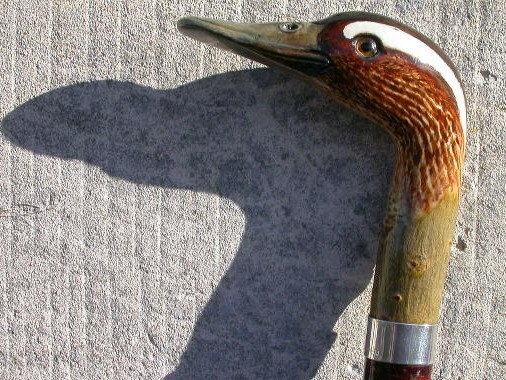 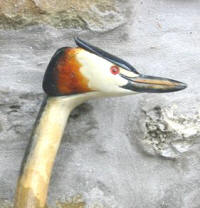 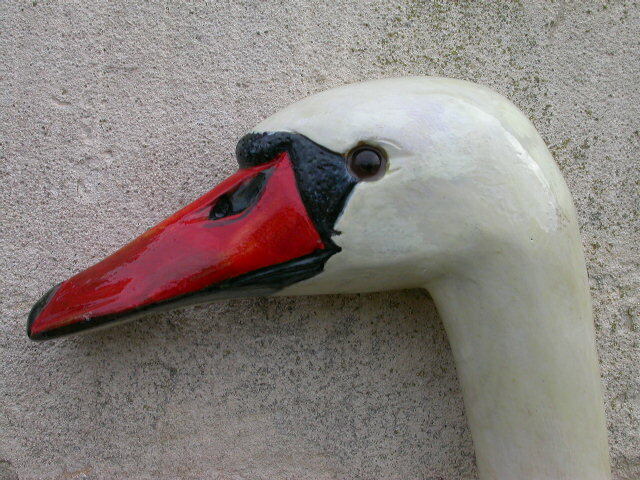 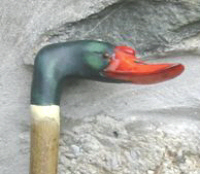 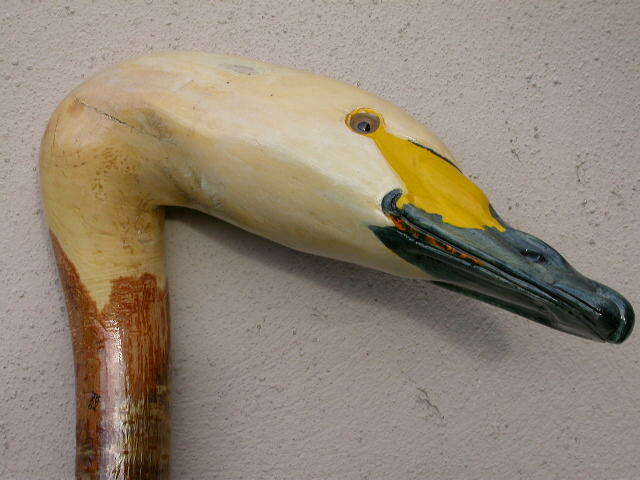 Please see my contacts page for details of how to purchase a walking stick. 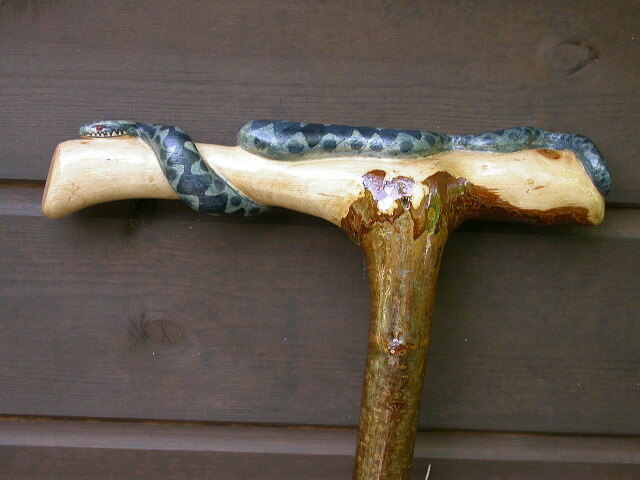 The Ramblerstick should be wiped clean after use and always stored in a cool, dry place.